Johannes Leak has the gift his late father Bill, had. Genes, maybe? Anyway, his cartoons are as funny as they are sharp-eyed. 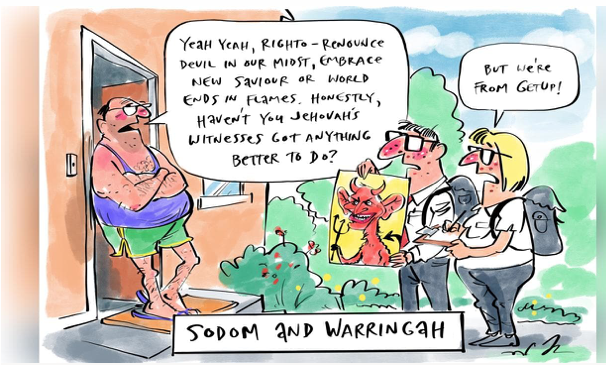 This one was published in The Weekend Australian, February 2/3, 2019, when one of the political news stories was the planned challenge in the upcoming Federal election for Tony Abbott’s seat of Warringah by so called independent Zali Steggall – running hot on climate change. This entry was posted in Humour and Democracy. Bookmark the permalink.